Beat It! is a healthy lifestyle and weight management programme for children and young people. 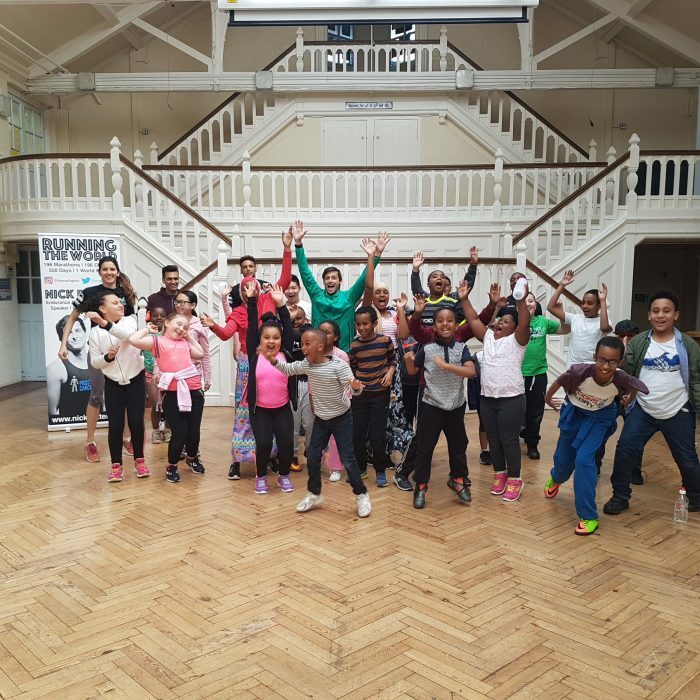 Enable Leisure & Sport deliver this programme on behalf of Wandsworth Council. Our mission is to inspire young people to grow up healthily through participating in fun physical activity whilst eating well. Sessions are run by a qualified nutritionist or dietician and qualified physical activity specialists. At each session both children and parents will be given tips on how to live a healthier lifestyle and learn the benefits of being physically active, sometimes together and sometimes separately. We focus on making the sessions very interactive and enjoyable helping young people create healthy habits for life. To qualify for the programme the child/ren’s BMIz score must be on or above the 85th centile. This is worked out using the child’s weight, height, gender and age. The Beat It! team or your health professional can help work this out for you. The child/ren must also either, live, attend a school or be registered with a GP in Wandsworth and be between 5-18 years of age. Parents, school nurses and health professionals can refer a child by completing the self referral form and emailing it to email us or speak to your GP about getting a child referred. Eligibility criteria for entry to the programme applies. See the Beat It! clip on youtube. Beat It! strives to help everyone on our programmes live a happier and healthier life through our fun games, multisport exercise and lifestyle workshops. Over time, we have received some great feedback, which we thought we would share with you! Please find below some healthy recipe ideas generated by our team of nutritionists and by the children on our programmes. We believe that eating delicious food goes hand in hand with eating healthily. Give our recipes a go and feel free to send a photograph of our creations to @activewands on Twitter or @activewandsworth on Facebook.